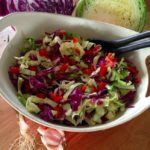 RAW: We love adding chopped cabbage to wraps and tacos or to make one of the following 4 coleslaw recipes. COOKED: We love adding it to asian stir fries and soups, stir frying it with onions and a bit of salt or tamari as a quick side dish or adding it to couscous. Quick cooking methods will keep cabbage crisp and relatively odour free. NOTE: Red cabbage will make stir fries turn purple/grey as it sits. 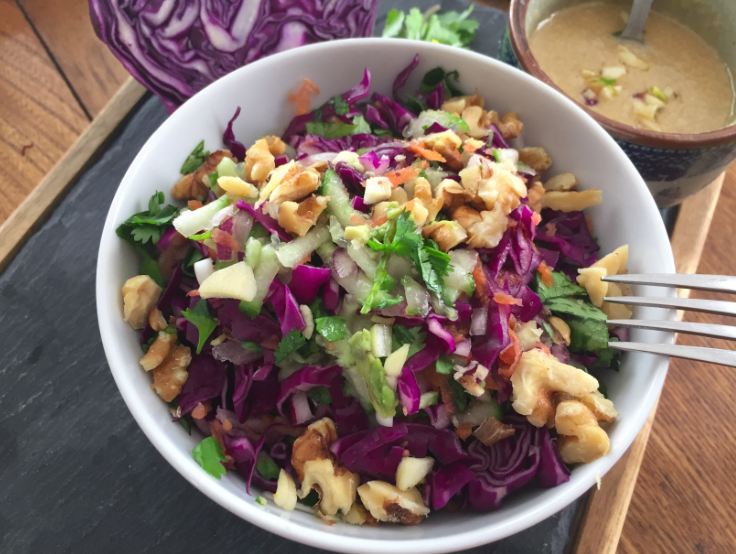 FEATURING: cabbage, carrots, cucumber, onion, parsley (optional), and garlic or garlic scape. 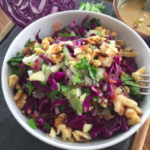 A colourful and fresh recipe that’s a lot easier to make than it looks and that can be adapted based on what you have at hand. 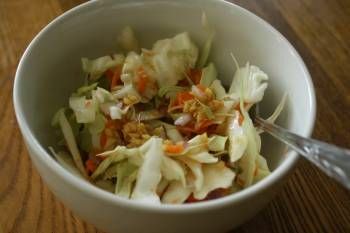 FEATURING: Cabbage, carrots, garlic, and green onion or onion (optional). 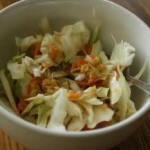 This is another twist on an asian coleslaw that our kids love! You can also add sweet peppers cut in thin julienne if you wish. FEATURING: Cabbage, onion, and carrots. 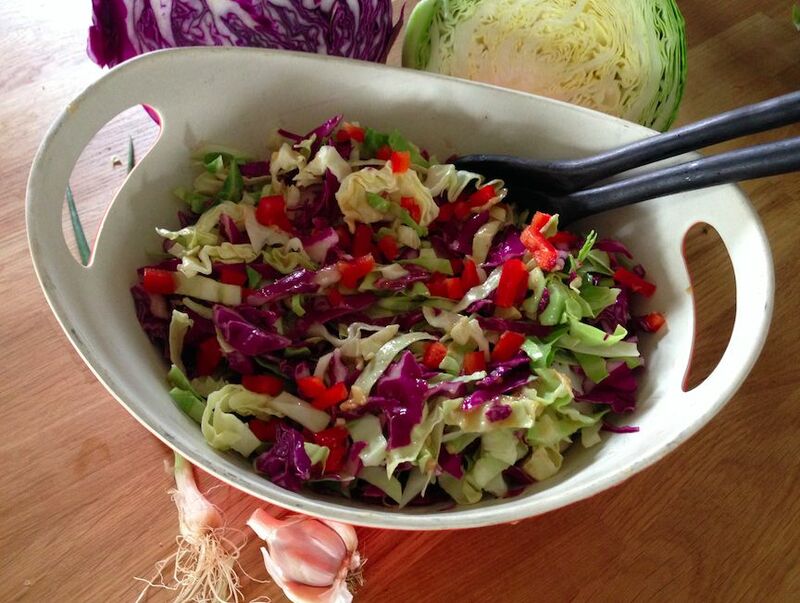 A very quick and nice twist on a classic: coleslaw. If you also have red cabbage, use 1/2 green and 1/2 red. 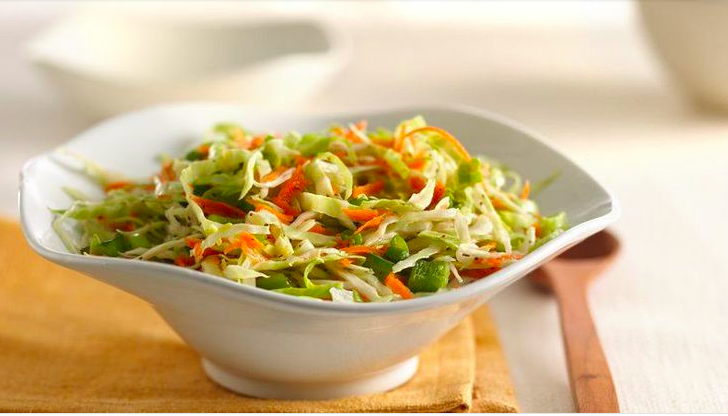 FEATURING: cabbage, carrots, bell peppers (optional), and green onions or onions. 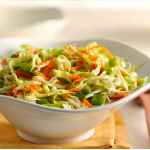 This is a refreshing and crunchy coleslaw perfect for hot summer days. You don’t have to let it sit 3 hours before you serve it but if you do, the tastes will be even more blended! 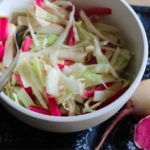 FEATURING: Cabbage, watermelon radish (or radish) and onion. 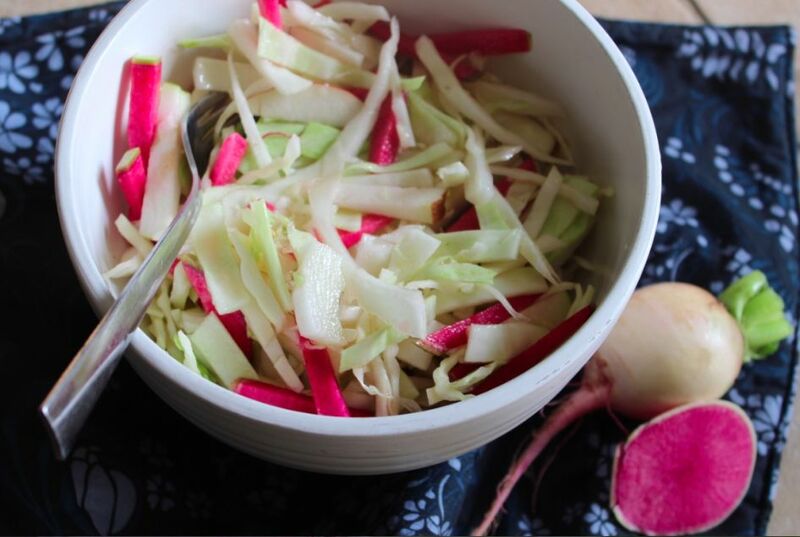 Cabbage, apple and radish make this a nice crunchy light and sweet salad! The fact that it does not have mayo also make it great for lunch boxes and hot summer potlucks.